Windows are expensive so why bother replacing when all you really need is a window repair? .Are you tired of those stubborn sliding doors that make your life miserable? Is that window hinge or window crank giving you a never-ending headache? Is it cheaper to repair, or replace? In the case of windows and sliding doors, the answer is REPAIR, by a landslide! No any window service provider recommends window repair services. Why? It’s all about making profits! They are more interested in selling you a new window, and this is the reason those crank parts are “not available anymore” when you call your local window providers. We specialize in this niche market that not many people realize exists. Did you know that sliding, crank, and lock mechanisms are some of the most commonly malfunctioning items in a household? The average consumer wastes a lot of cash on these portals by either replacing them entirely, or ignoring the problem and bringing their utility bill to an all-new high, thanks to leaking climate control. Your A/C or heating system may be overworking, trying to control the climate of the great outdoors! There might as well be dollar bills slipping out from the cracks! If you’re trying to save money on your bill, is buying something new and expensive really the solution? We are able to repair the broken, loose, and stuck sliding doors/window cranks. We understand that consumers are tricked into purchasing and installing new doors, doorframes, and windows, and this is the reason we offer one-of-a-kind services that help you save a lot of time and money – without dealing with all those hidden surprises. The saying goes: “Don’t throw the baby out with the bath water.” The same sentiment applies here. Don’t dispose of a perfectly functioning window and door when all you need to do is have a professional take a look at the source of the problem. Whatever the mechanism, crank, latch, or slide, it can be repaired or replaced for a fraction of what you would normally spend on windows and doors. 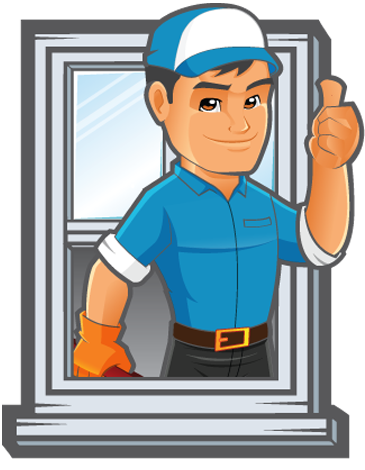 Let our Window Repair Man handle all your needs! There is more at stake here than just money. A loose seal or stuck lock can make the difference between a trespasser in the backyard and a thief in the kitchen. It’s far too easy to “break and enter” when the “breaking” is already done. This is why we take pride and special care with our work. Our skilled labor, backed by years of experience, will find the most efficient way possible to make your window and door problems go away. It’s what we do. The process is incredibly fast. We assess, then repair only the parts that need to be repaired or replaced. Best of all, once our work is done, the system that we install or repair will last a lifetime. It’s nothing personal, but when we leave your home, our goal is to never see it again. We do the job right the first time so you can put the problem out of mind, permanently! We are problem solvers, and can help you determine your best course of action. If you are unsure of how to proceed with your problem, give us a call and we will happily come take a look. 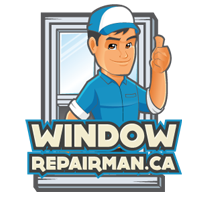 The best part is: If it turns out your window is in need of full replacement, our consultation is absolutely FREE. There’s only one reason that people should not call us if they’re dealing with a malfunctioning window or door. That reason is: they don’t know about us yet! Don’t over-purchase, and don’t risk guesswork on how to fix the problem. Bring us into the equation, we’re solution people! Give us a call, and we’ll set up a time that works best for you!